A few years ago, we started Growing A Greener World for Public Television to tell the stories of people making a difference through gardening. Those stories included everything from backyard chickens and beekeeping to features on some of our gardening and sustainability heroes. As part of the package, we also included informative posts here on our website on organic gardening, seasonal cooking and preserving the harvest. And through your comments, emails and Facebook messages, we have learned a lot about you – our audience. We’re Upgrading To Give You MORE! One thing we know for sure – More of you are growing your own food, looking for sustainable alternatives and taking steps to be “green” than ever before. From day one, you have been asking for more DIY, homesteading topics and canning and preserving. I am most excited that we are expanding the Canning/Preserving Section! Last season I was traveling so much for the show, I wasn’t able to share as many canning adventures here. However, this area remained a lively place with lots of discussions happening in the comments. But as we launch Season Four in a few weeks, we are already gearing up to share MORE of the seasonal canning and preserving here. With how-to videos and weekly posts, we will continue to cover preserves, pickles, fermenting, freezing and other techniques with an emphasis on simple, timesaving practices for saving the harvest. 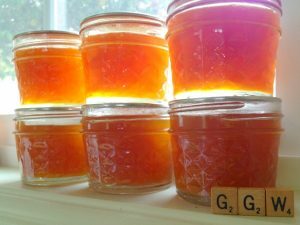 As a lifelong canner and homesteader, I am always looking for unusual recipes to try and love experimenting on my small homestead here in Los Angeles. But recently, my canning “laboratory” expanded as I am now also managing several acres of my family’s 1890’s farmstead. 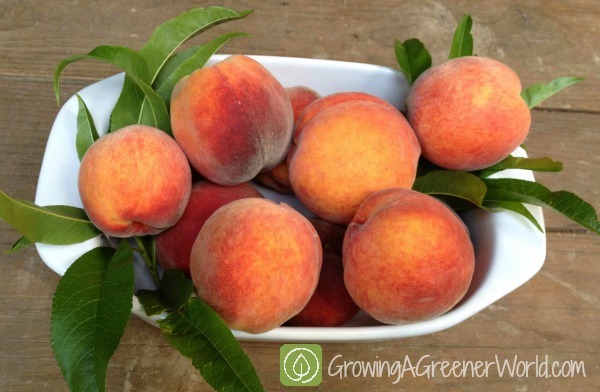 More heirloom fruit, means more recipes and videos to share! And the best part is that there will be both advanced and newbie topics covered all season long. One of the things I love about our television series is that it is written and produced by people who also just happen to live the same type of stories we love to share. 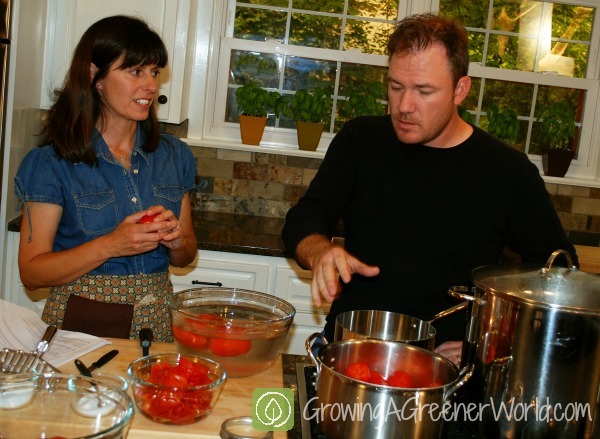 Everyone on our GGW team is a gardener, homesteader, hobby farmer, or grew up on a farm. We “get” organic gardening because we live it! I think that is what sets our TV show apart. I am really looking forward to expanding this canning section this season. My fruit trees are filled with immature fruit just waiting to “grow up” and dive into my canning jar. I hope you will join me in this adventure as we all work toward eating more local, savoring peak homegrown flavor and growing a greener world. Hi. This is my 2nd year having a garden and I’m thouroughly enjoying it, although I’m also finding certain aspects a little challenging and frustrating. I’d love to see a portion of each show dedicated to preventing against diseases and treating for insects. My tomatoes have blight this year and I hate to use chemical sprays, but I’d love to get tips and tricks on 1. preventing it from occuring, and 2. if it does occur, how to treat it. Along with other preventive healthy garden measures and treatments. I’m a spong looking for as much info as I can get! Thanks and love your show! Thanks Jennifer – We love the input! And we are so glad you are enjoying your garden. Keep it up. Every year you learn more! Hi Thelma. Congrats on your success and keep it going. Not sure what you are referring to though regarding “your list for planting collard greens”. Can you be more specific? The only thing we have that goes out every couple weeks is our newsletter but nothing specific to collards. I also think this would be a great idea. The Amish must have a lot of interesting and different ways of doing things. I would love to see a show about this. Also I would love to see a show about different ways of capturing rain water[rain barrels ect.]. I have a cool tip about herbs. When you are making chicken nuggets or French fries add a couple of sprigs of rosemary. The oils will infuse into the food and add flavor. Also if you put some rosemary sprigs into your oven at 300 degrees with the door slightly ajar, your whole house will smell wonderful. Nice ideas Heidi! Love the rosemary infused chicken and you can’t go wrong with the scent of rosemary filling the house. Thanks for that and for sharing your ideas on what you’d like to see on the show. We def. pay attention to comments like this from people like you who take the time to tell us. We really appreciate that. Thanks Heidi for sharing. I would love for there to be a show on the Amish and their gardens and some canning recipes they will share. Very interesting idea Cheryl. We’ve never considered this but it’s worth exploring and could be very interesting and informative. Thank you for the suggestion. We review show ideas for the following season in November so your idea is very timely! I love your show. I’m excited about more hands on gardening. Would love to see updates on progress in the garden along with what to do each month as a guide to keeping the garden healthy. Looking forward to your next season. Thanks Cheryl. Glad you like the hands-on information we’re featuring more these days and will continue to do that even more often in the future. Thanks also for the idea on dehydrating vegetables and preserving herbs. Those are both really good and we will do that in our upcoming season 5 since we’ve already completed our current season of filming. I actually have both dehydrating and drying herbs on my list for season 5 (Joe didn’t know). I am also hoping to cover fermenting as that is very popular right now. Thanks so much for the suggests and keep them coming. We get some of our best ideas from our viewers! I recently came across a simple recipe for making a dill crock, so I pulled out a 1/2 gallon jar, layered it with dill, cauliflower, a couple garlic bulbs and filled the bottle with a brine solution. The recipe says to let it go three weeks, the it is ready to eat, but I’m at two weeks now and the brine solution is getting murky. Should I change the brine solution? I need more information to answer your question. You say brine, but are you using a salt brine (fermenting) or just a vinegar brine (quick pickles)? I’m thinking you are you fermenting the pickles? If so, you can get murky brine for several reasons. If you used an iodized salt, you will get a cloudy brine. So always use pickling salt or kosher salt without anti-caking agents. Also, during fermentation, the lactic acid bateria growth can make the brine cloudy. And if you have very hard water, you can get a cloudy brine. In all of those cases, the cloudy brine is safe but ugly. You can always make a new brine and change it out. But, if you are not fermenting and are actually just using a vinegar brine for quick pickles – Then, cloudiness might indicate spoilage. Anything but more jams and jellies. I hear ya Taras. We have lots of other posts coming up besides jams/jellies – including things to do with what you have already canned. We will always have a few jams in the mix as so many people like to start with these, but we will strive to keep it a good mix of other recipes. I would prefer to see segments on canning something other than jams and fruits since those are a very small part of our diet. It has been many years since I canned vegetables so I would like to see a refresher on this. HI: We are not canning orientated but may get to be so. Looking forward to the presentations. Hi there. One of the things I’d like to see in the canning & preserving segments is the use of a pressure canner for canning homemade soups and other home-canned goods that include meat (i.e., free-range chicken soup, or as we often have at our house, naughty rooster soup… or beef stew from grass-fed beef… pulled pork for sandwiches… things like that). I have a pressure cooker/canner & have done lots of reading on how to use it, but I would love to see it on your show. Thanks for the suggestion Jerrilynn. We have discussed doing this and will keep this on our list of topics! I know a lot of people are afraid of pressure canning so it would be nice to take the fear away. We also got some suggestions for more unusual canning recipes (beyond standard Jam) and we are already doing some of those. Stay tuned!